Two weeks ago, at New York Comic Con, Star Wars author James Luceno called his upcoming novel Star Wars: Catalyst: A Rogue One Novel "required reading" for fans. Luceno is not far off in that assessment. The first excerpt from Catalyst, which is a direct prequel to the upcoming film Rogue One: A Star Wars Story, was released by USA Today. The novel will explore the relationship between Galen Erso (played by Mads Mikkelsen in the film) and Director Orson Krennic (Ben Mendelsohn). The preview features Galen and his wife Lyra. USA Today also interviewed Lucasfilm Story Group member Pablo Hidalgo about the novel and how it ties into Rogue One. He compared the relationships in the book and film to those in the 2009 film The Social Network, saying, "all the twists and turns that those kinds of relationships can take in the development of something as big as, in this case, the Death Star and not Facebook." "One of the great opportunities we have with Jyn, unlike some of our heroes in a Star Wars film, is she knows her past. She knows her parents. She knows where she came from. So we’re able to take these characters and really flesh them out because we have this grounding of them actually established in the context of the film." Pablo also discusses how the novel ties in with the film, telling fans, "you start to see puzzle pieces start to connect and you’ll understand things about Jyn from reading this book that you might not have otherwise." The tall gates swung open and suddenly Galen Erso was standing alongside the carriage, bracketed by two prison guards, looking much thinner than Lyra allowed herself to admit. The guards, however, made no effort to restrain him when he shuffled to her, embracing her and Jyn for a long moment. You can read the entire excerpt over at USA Today! 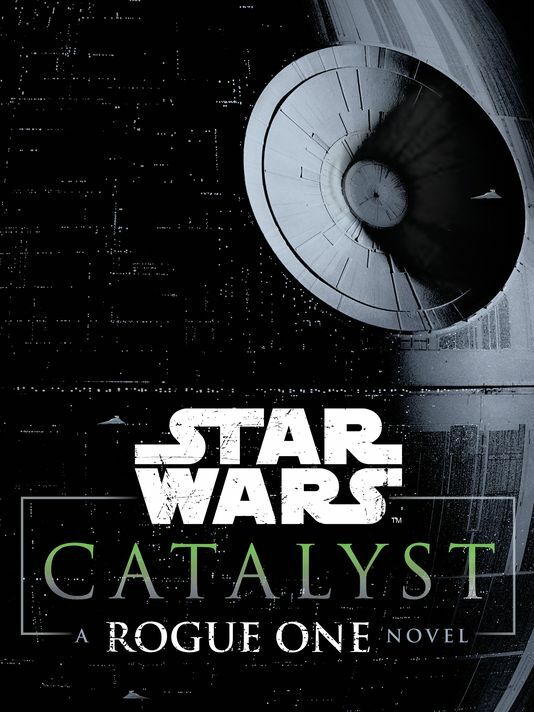 Star Wars: Catalyst: A Rogue One Novel hits shelves on November 15th.